Our OLAP Grid supports culture switching at run time. You have to pass “Locale Identifier” parameter in your connection string in order to switch to a different culture. Here we tried, creating a cube in 2 different culture French(French) and German(Germany) and deployed in server. Use “1031” as Locale Identifier in the connection string to load the OLAP data in German culture. 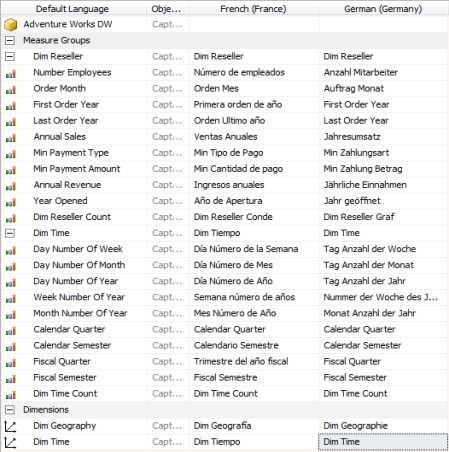 Here our OLAPGrid loads the data in German culture. Use “1036” as Locale Identifier in the connection string to load the OLAP data in German culture.